THIAGO PICCHI was born in Rio de Janeiro in 1976, and grew up in an artistic family. 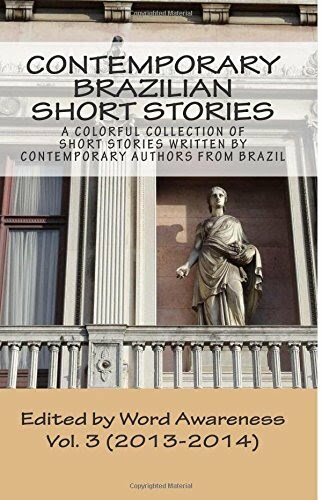 He has always lived in Rio and, when not writing, he enjoys all that the Marvelous City has to offer. He is an actor, musician and writer. His books include the novel Os Rumores Imprecisos das Conversas Alheias [Imprecise Rumors of Other People's Conversations] (2006), and the collections of short stories O Papagaio e Outras Músicas [The Parrot and Other Songs] (2005) and A Arte de Salvar um Casamento [The Art of Saving a Marriage] (2014). He lives in Rio de Janeiro, Brazil. My Defense [Minha defesa] is an excerpt from the title story of A Arte de Salvar um Casamento, in which author Thiago Picchi tells the comical story of complacent Carlos and his frustrated wife Marta, a middle-­aged couple settled into a childless middle-class routine. The story is told through the eyes of the husband, who had here just brushed his bare hairy buttocks against his wife's face in an effort to pick up the remote, which he had dared let fall off the bed.